The Current Management: James E., Jr. and Lawrence L. Hooper, Sr. The good fortune for the next generations of Hoopers is that their forefather began business in an industry that was floating up with an approaching wave. The wave would crest in Maryland with the arrival of the Baltimore Clipper Ships, the ship whose commercial success made the city famous the world over. Firms like Hooper & Hardester were uniquely poised as specialty canvas producers. 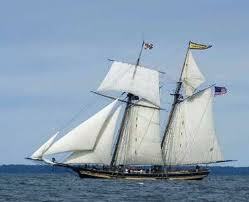 They were able to equip the vast fleet of ships with sailcloth. William purchased his raw materials directly from England mills, shunning the manufacturers of cotton duck in the United States. He was content to remain in partnership and serve the growing numbers of clients who came to the company. William retired from the Company in 1843 at the age of 55. From the family folklore and the documentation it seems appropriate to separate William Hooper, the Irish immigrant founder, from William E., his oldest son and the true entrepreneur in the business. Although William did start the business and hire his former employer, it was William E. who rowed into the Chesapeake Bay to establish the firm in the sailmaking business and to redirect the size and scope of the burgeoning cotton industry. William E. is always referred to as having “boundless determination and enterprise.” 4 He had the vision to vertically integrate the Company beyond a sail loft to the manufacturing of cotton duck. It is interesting that the oral history of the Company often attributed the story of rowing out to the Bay to meet the ships to William, the founder, rather than to his son. There may be a subconscious desire to place the entrepreneurial drive on the first Hooper in the business, rather than the second. William E. and Catherine Bell had a “quiver full of children,”9 eleven in all with five boys. Four of the five boys, when they had reached the proper age, entered the family firm. The one abstainer, Eugene, went into the cotton and gold trading business where he amassed a small fortune prior to his death at the age of twenty-five from tuberculosis . The other sons (William J., Theodore, James Edw., and Alcaeus) entered in various positions from janitor to personnel manager. Each stayed in the firm until they were promoted to Junior Partner. At that position they could live in the family mansion near the mills. Otherwise the family resided in downtown Baltimore and commuted by train to the plant. It is unclear why William J. did not succeed his father when William E. died in 1885. Separate documents say that William J. and Alcaeus left the family business at different times and that James Edw. became President upon his father’s death. James Edw. spent three years in England working in English textile mills so he may have had an experiential edge over his brothers, older and younger.10 Also, as many of the articles on family firms relate, there are generally difficulties when a firm is passed on to a group rather than to a single person. Theodore and James Edw. bought out the stockholders’ interests in the Company in 1892, seven years after their father died. That year was also the year that Alcaeus gave up his association with the family firm on what appear to be fundamental disagreements as to the future direction the Company should take. Theodore and James Edw. wanted to adopt corporate policies that would lead to the dissolution of the Company into the Mt. Vernon-Woodberry Cotton Duck Association. In contrast “Alcaeus thought it wiser to maintain the Company profits as a family firm for the benefit of the present and succeeding generations.”11 The Company did not actually join the Cotton Duck Association until 1903, but the rift that occurred in 1892 proved a powerful one for the firm and the family. William J. was not mentioned after his departure. Alcaeus launched into a political career and became mayor of Baltimore in 1895. The Wm. E. Hooper & Sons Company was sold to a trust within a decade. l2 Theodore wanted to retire from the business in 1899, so the mills were sold to a trust in that year. 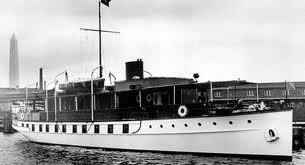 Records show, however, that Theodore stayed on with the firm until 1904.13 James Edw. remained the head of the trust and continued to run all of the mills. The need for cotton products had not diminished and the company continued to find lucrative markets for all it produced. In 1903 James Edw. succumbed to the pressures of the other mills in the Hampden-Woodberry area and entered into a combination with the Mt. 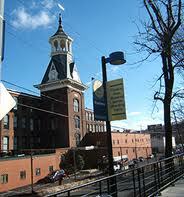 Vernon-Woodberry Mills group and other large textile concerns to form the Mt. Vernon-Woodberry Cotton Duck Association. James Edw. became president of the Association. Alcaeus had warned against just such an association eleven years earlier, but not until the Company was actually involved in the group did James Edw. see the problems that he would inherit without his independence. One of the major issues appears to have been that the southern mills in the Association began using the Woodberry trademark as their own.16 It appears that the Hoopers were not successful at preventing the Cotton Duck Association from using the “Woodberry” symbol, which was a powerful worldwide trademark. In an unusual move the Hoopers stuck out on their own in another way: they built the Hooperwood Mill #l in 1904 and adopted the “Hooperwood” trademark in that year. For years the “Woodberry” trademark had been under the exclusive use of the Wm. E. Hooper & Sons Co. and had been a guarantee of workmanship and quality. The guarantee could no longer be honored. Sarah Poole Hooper raised five children, four of whom survived to adulthood. James Edw. brought several family members into the company to work with him, including John Dorsey, the husband of his second daughter, and William E. 3rd, his second son, as well as Robert P., and James P., his youngest sons, both from his marriage with Sarah Poole. William E. 3rd was four years older than Robert P. and thirteen years older than James P. The existence of half-brothers in the same company appears to have been the source of long-lasting friction that would come to a head nearly a decade after the death of their father, James Edw. Hooper. James Edw. is remembered as the family member who most ardently attacked the labor injustices in the workplace. As early as 1873 he ran for the Maryland State Legislature with the intent of eliminating child labor evils in the state. Considered weak legislation by current standards, the Maryland statute for which James Edw. is responsible declared in 1880 that “no child under the age of 16 shall be employed in factories more than ten hours per day.” Seven years earlier James Edw. 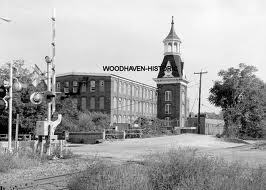 had convinced many of the Woodberry mills to join the Hooper Mills in prohibiting the employment of girls under the age of twelve and shortening the work day for boys and girls under 16. James Edw. died in 1908, four years after the Company had broken ties with the Mt. Vernon-Woodberry Cotton Duck Association. His second son, William E. 3rd, was promoted from Treasurer to President. Sarah Poole Hooper received the salary of her deceased husband for the last six months of 1908 and she was unanimously voted a member of the Board of Directors.19 The President, therefore, had his step-mother and two younger half-brothers as his fellow Board members during his tenure with the Company. William E. 3rd is said to have known every detail of the cotton duck business. 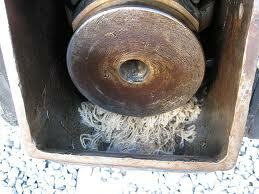 “There is not a piece of machinery in the big mill he does not know all about or that he cannot operate. There is not a process with which he is not familiar. In addition to that, he is a splendid organizer and has a wonderful capacity for business. He grew up in the mills and understands the people as well as the business.”22 With glowing quotations such as these it is surprising to find that in 1917 William E. 3rd was bought out of the business by his two step-brothers who lived in Philadelphia. There must have been a heated family dispute. It is surprising to find that the name William E. Hooper, 3rd, the deposed President, is purposefully left out of Company periodicals that describe the history of this family firm. Most of these periodicals list R.P. as succeeding his father in 1908. R.P. ousted his step-brother from the firm, but he retained his step-brother-in-law, John Dorsey, and promoted him to Secretary. Some of the documents refer to the purchase of William E. 3rd’s and other stockholders’ interests as occurring with R.P.’s and James P.’s resources. (It is unclear whether the brothers bought out the interest of their mother and brother-in -law at the same time.) It seems clear, however, that they were by no means equal partners in the enterprise: “Old R.P. was the boss” and he ran the company from his comfortable office in Philadelphia “with an iron fist.”23 R.P. was the President of the Automobile Association of Philadelphia (precursor to the AAA), the President of the Corinthian Yacht Club (where he parked his yacht, The Marion) and he was a man about town. After the war R.P. 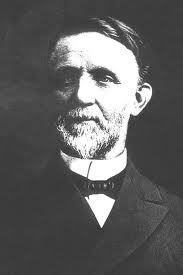 placed his oldest son, James E., in charge of the manufacturing and production in Baltimore, while R.P. ran the marketing and sales operations from Philadelphia. Reared in Philadelphia, James E. married a native of Louisville, Kentucky, Mildred Anderson. This young couple had no familiarity with Baltimore society. Since R.P. had broken ties with other Hooper family members in Maryland, James E. and his wife did not know their relatives south of the Mason-Dixon Line. This gap in family knowledge points to the depth of the family schism that must have occurred between William E. 3rd and R.P. after or perhaps before the death of their father. R.P. not only ran the Philadelphia operation, he also controlled much of the daily operation of the Baltimore plant by means of morning phone calls to his son. Older employees today distinctly remember the yearly inspection visits by R.P. 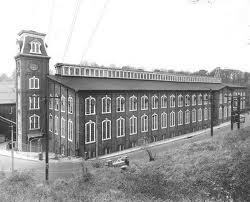 to the Baltimore Mills: “It took us all week to clean up before he arrived,” recalled a former office worker.25 Under R.P.’s direction two additional Hooperwood Mills were constructed in the 1920’s and the operations appear to have been smooth and steady. Again in WW II the Hooper Company enjoyed employment and profits. James E. invested prudently in research and development in anticipation of creating better finished products. He hired two young chemists from Johns Hopkins University and asked them to work on some chemical treatments for cotton duck that could combat some of the hazards of canvas. For the end user, the biggest problems were that the material was highly flammable and when it got wet, unless it was thoroughly dried it would mildew and rot. After some careful experimentation, these researchers developed a revolutionary new finish for canvas. The chemical treatment, trademarked “Fire Chief,” afforded fabrics protection against fire, water and mildew. The finishing process was tremendously successful, winning the Company more government contracts than it could fill. The Baltimore manufacturing plants worked three shifts, seven days a week and employment swelled to over 2,000 workers. 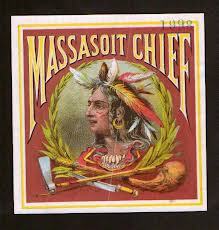 Hundreds of millions of square yards of canvas for tents, tarpaulins, covers, and other outdoor uses were treated with Fire Chief.28 There were “hidden costs” to the storage of the caustic chemicals that were used in the finishing process, which would not be known for four decades. Immediately after WW II, James E. hired his two sons, James E., Jr. and Lawrence L., Sr. back into the firm. 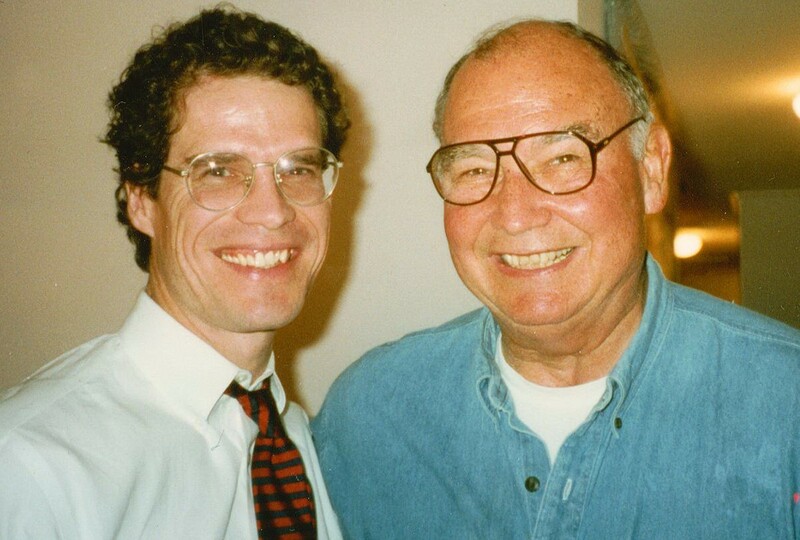 These two men represented the sixth generation of Hooper’s to enter the family firm, a legacy record shared by only a handful of companies in the country. James E., Jr. was sent into the field as a salesman, an assignment which took him to New York and then to Chicago. He also gained experience during this time as an Army quartermaster. 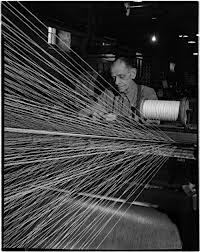 Lawrence L., Sr., after several years in production in the Baltimore mill, moved to Philadelphia to oversee the allocation of governmental funding to the Company in conjunction with canvas finishing contracts and to assume other administrative duties at headquarters. Despite the confidence of James E.’s words, the Hooper Company appears to have been lifted by the tide of governmental contracts during the times of war. After the Korean War ended, however, as with the previous post-war periods, the market for the Hooper Company’s heavy mill goods dried up almost completely. To add insult to injury the arrival of synthetics and foreign competition devastated the entire cotton textile industry. That international wake-up call forced all but the largest and a few small niche producers out of the business. Within a few years, many companies had gone bankrupt. 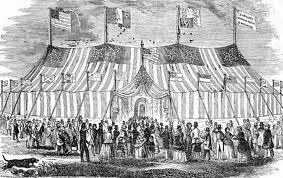 The Hooper Company, while not a bankruptcy victim was mortally wounded. Part of the blame for the downfall of the company lies with R.P. Before his death in 1958, he had amassed a personal fortune, dipping into the income of the Company rather than reinvesting it. In 1986 dollars, it is estimated that R.P. paid himself a salary equivalent to $2 million per year. He spent the majority of his time at his clubs and with his toys and doing other than Hooper Company business, yet he never fully turned over the reins to the ones most capable of running the firm. 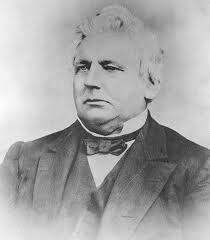 As a result, succession to his son, James E., was by default rather than by design. R.P. held tight control of the Company operations, sales, and fortunes until he was well into his eighties. R.P. apparently wanted to take as much of his material wealth with him in his coffin as he could. He left all of the voting shares of the Wm. E. Hooper & Sons Co. stock in an irrevocable trust. The beneficiaries of the trust are his son, James E., his daughter, Josephine Hooper Service, and his daughter-in-law, Mildred Anderson Hooper. The share will not become unencumbered by the trust until each of these beneficiaries has died. “Old R.P.” has thus been able in some ways to affect the workings of the Company to the present, ruling from the grave. An irony of R.P.’s death is that he wanted the newspapers to carry bold headlines about him when he died; however, there was a newspaper strike that day, so he never received an appropriate obituary.30 He died in 1958 at the age of 86. Perhaps another contributing cause to the decline of the business was the pervasive paternalism that prevailed. As with many family firms, paternalism extends beyond the workers and managers. In almost every generation uncles, cousins, brother-in-laws, nephews, and sons of friends were incorporated into the work force, regardless of their competence. The Hooper Company was a repository for some weak members, just as it was a solid location for some of the strongest members.31 At times when the Company faced danger pertaining to its survival, as it did in 1960, James E. had to cast off friend and family alike to salvage the enterprise. In 1961 Wm. E. Hooper & Sons began a series of divestitures to save what might be left of the Company. During this time James E. pared down the skeletal work force even further, dropping from 539 employees in 1961 to 168 employees eighteen months later.32 The Company sold its cotton duck and dryer felt operations to Mt. Vernon Mills in 1961. With these operations went two key employees, Vice-Presidents James E., Jr. and Lawrence L. This must have been a difficult task for James E., representing the first time that a family member in direct line of succession had been cut out of the business. The succession of the Company from James E. to his oldest son appears to have been a gradual one. James E., Jr. began to take on more and more of the day-to-day operations of the firm beginning in 1965. His father was hospitalized in that year and the burden of management fell squarely on his shoulders. James E., Jr. assumed the responsibility for the marketing and sales of the narrow fabrics, mops, and newly acquired Journapak lubricator pad divisions. This seemed a natural line of responsibility because of his experience and predisposition toward the sales side of the business. At the same time Lawrence L. handled the production and personnel sides of the operation, which complemented his attention to detail and emphasis on efficiency. Two major purchases have been made during this period of the business which has been instrumental to the survival of the family firm. The first was the purchase of the Journapak operation. This division developed a patented way to knit cotton products, which when soaked in oil were used as lubricator pads for railroad car brakes. Journal boxes surround the brakes on open top railroad cars, and the boxes formed wells around the brakes. The pads keep the breaks from overheating (and catching fire), when the brakes are applied. Other rail cars have moved to ball bearing brakes, which do not need journal boxes, so the product will eventually become obsolete. Journapak today is one of only two manufacturers of lubricator pads remaining in production for open top coal and grain railroad cars in the country. This oligopoly has afforded the Hooper Company the sales cushion and the margin of income that have kept the firm “in the black” in 1985-1986. The second division, American Textile Products (ATP), was purchased in 1972. This acquisition has strengthened the Company’s position in the janitorial supply market. These two purchases have enabled the firm to edge further into industries where it already has distribution channels and sales representatives. Since these channels have existed for many years, the expansion conforms with the existing strengths of the Company. Wm. E. Hooper & Sons is located in the area of Baltimore called Hampden-Woodberry and described by Sociology Professor Randall Bierne as a “Mill Village in an Urban Setting.” Both geographical and social factors have helped to preserve homogeneity and identity of the community, now a homogeneous town of mostly working-class residents. 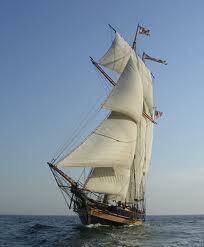 Historically, the production of cotton duck (canvas) for sails boosted the development of this Baltimore area. The lower price of the Hampden-Woodberry product not only gave this region national dominance, but, abroad, it undercut prices of Russian and English produces. Lower costs of labor was another factor that allowed Baltimore to produce a cheaper cotton duck. Cheap energy sources – water and coal – were also available for the mills as well as for two other large industries in the area, the Poole and Hunt Foundry and Machine Works and the Northern Central Railroad. This industrial park conformed to the economic base of the community for over a century. The fact that within textile industry the family was considered the basic mode of production raises the importance of family owned firms. This tradition of family work, carried over from the American farm culture, played an important role in the homogeneous character of the community. A characteristic of Hampden-Woodberry was that local mills and the foundry remained in the hands of local families well into the twentieth century. Each generation of these families that followed the nineteenth century entrepreneurs felt some responsibility for the business as well as for the community. With members of these families a close-knit economic and political oligarchy, a group existed that wielded power and influence within Baltimore society. Many of these families were civic leaders for over one hundred years. From the Hooper family, Alcaeus Hooper, son of William E., became mayor of Baltimore in 1895. Nineteenth-century paternalism was prevalent among owners and managers of the mills. Each company perceived itself as a large family with its workers as its children. Since family and kinship lines were the base of management and organization, employment of entire families was considered natural as well as easier. These attitudes, paternalism and family dynamics, were linked to the company housing policies for workers. Company housing became a major part of the industry’s system of maintaining an acquiescent work force and as compensation for low wages. In the nineteenth century, the Hooper family built Hooper’s Hotel which housed 250 young girls who worked in the mills. Culturally the Hotel offered them free piano lessons and open piano concerts. Employees in the mills were encouraged not only to live in low rent company housing but also to save their money in order to buy houses. The First Building Association was formed in 1865 by mill owners who also managed two banks, the Provident Saving Bank in 1866 and the Bank of Hampden in 1910. Since textile wages were low, the family had to work as a unit to meet basic economic needs. Since wages were better in maintenance sections, most male heads of households did not work at the cloth producing part of the mill. In the 20’s the ratio of men to women employed in Mount Vernon-Woodberry Mills was one to one, a third of the male employees were doing outside work repairing company houses and other company property. In general, the mills were a flexible source of income to the extended family. 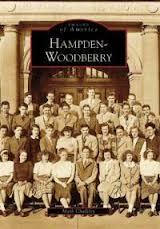 For a large segment of the working population of Hampden-Woodberry, they became a way of life. As the United States entered the twentieth century, economic, social and political changes in large cities such as Baltimore were increasing. The new order implied an expanded industrial force with an inflow of migrant workers from southern and eastern Europe. Changes were, however, slow and selective in Hampden-Woodberry due to the paternalistic social structure with the family as the basic production unit. The textile economy in the area changed slowly but its social structure and the community leadership by the mill owners started a rapid decline. In 1899, New York investment interests became involved with all the local textile companies as well as with others outside Baltimore. 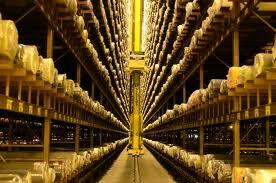 The consolidation of all cotton duck manufacturers became the Mt. Vernon-Woodberry Cotton Duck Association and it was comprised of seven companies and fourteen mills. Wm. 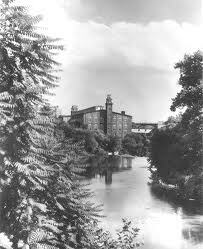 E. Hooper and Sons Company withdrew from the group in 1904, sold some of their mills and built a new mill in Woodberry. As the mills began to wane in importance and Baltimore continued to grow up around Hampden-Woodberry, the community found itself centrally located as a labor pool for servicing the suburban neighborhoods. The growth of the service sector in the community between 1900 and 1920 encouraged the growth of small businesses. Jewish and Greek immigrants moved into the community and filled the need for experience in this sector. The crash of 1929 hit the Hampden-Woodberry area hard. Concentration of employment in skills most vulnerable to economic slow-downs made the local inhabitants find themselves dependent upon the state and federal welfare system instead of the previous paternalism and dependence on the mills. It is important to notice that Wm. E. Hooper & Sons and other Hampden-Woodberry mills did not close down though they struggled during the Depression, while mills in other parts of the country went out of business. World War II brought economic relief to the area through lucrative war contracts with the local industries; however the scars of the Depression remained. Confidence in family support and in the paternalism of the local employers as a means of economic security was shattered. Since the end of WW II, the extreme social and economic changes those US cities have undergone has not left Hampden-Woodberry unchanged. The structure of the local labor force has changed towards a majority of black workers. These workers, however, generally do not reside within the community. Due to the area’s relative geographical isolation, its selectivity in its choices of change and its clinging to some of the traditions of the nineteenth century mill village, the community has resisted changes that might easily have destroyed it. An awareness exists today that changes are inevitable, most of the mills have moved south and the companies that still remain make cotton products on a very small scale. A major concern of the community is how to retain its identity in today’s urban world. The strong role of church life, an extraordinary social club activity, and the emphasis on home-ownership, give the community a link with the past helping to strengthen its identity. Wm. E. Hooper & Sons’ primary mission has been to maintain a profitable working environment for its owners, the Hooper families. However, throughout the Company’s long history it has achieved other things that have become encompassed in the Company’s ongoing objectives. The Company has served as an employer in the Baltimore community, at times employing nearly 2,000 people, and, until the early 60’s, consistently employing 800 people. The Hooper Company has been a visible and active part of the business community, to a greater and lesser extent throughout the years, and to the Baltimore community generally. It has provided a place for successive generations of Hooper sons to work. Thus, secondary objectives of the Company include serving as an employer within the community; continuing the tradition and reputation of the Hooper family within the Baltimore community; and providing a source of employment, prestige, responsibility and independence for succeeding generations of the family. In more recent years, as the Company has gone through economically more difficult times, it has nevertheless maintained its goal to continue as an ongoing business. The 1969 President’s Report shows that the Company then realized its need to expand and modernize in order to maintain its competitive position. The report emphasized the need for the Company to focus its efforts on those departments which held promise as profit centers for the Company, and to look for new products onto which it could hang its future hat. In 1975, the Company went through a more thorough consideration of its future potential, goals and plans. The downsizing of the Company, which occurred due to the evaporation of their traditionally strong markets (the wick market, for example), made this consideration necessary. 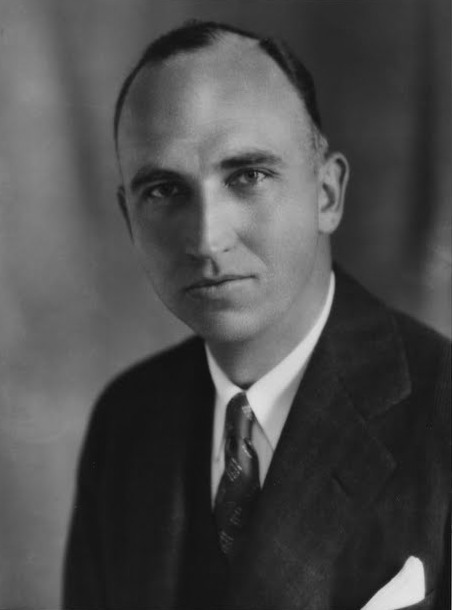 A four man Special Planning Committee, composed of Lawrence L. Hooper, Sr. and three non-family Board members, took on the task of studying and evaluating the Company’s then-present position, objectives, potential, and future needs, and deciding the direction in which the Company should go. In considering the Company’s alternatives, the Committee evaluated the effects of each on the Company itself, its stockholders, and its employees. The alternatives considered were to maintain the status quo, to merge with or sell the Company to another company, to phase out the Company on an orderly basis, or to increase profitability through increased sales and new markets. The Committee concluded that the long-term best interests for all parties lay in the last alternative, in creating a modern, competitive and dynamic company, thereby developing new markets and increasing sales. As recently as April 1986, the Company determined that the immediate profit objectives had been met. The Board also concluded that the Company must have adequate executive management to continue and broaden the Company’s corporate mission. While the Company has continued to support the Hooper families in recent years, it has not met its intentions stated in its 1969, 1975 and 1983 reports. Product lines and market shares have not been successfully increased, with the exception of the Journapak Division. This leaves the economic viability of the business, as it now exists, precarious. The Company has achieved many of its other goals. It has employed the heads of two Hooper families in the current generation; it has continued to support a work force of more than 75 people, considerably smaller than in past years, yet not insignificant; and it has been active in the Baltimore community through its charitable donations to various community activities and organizations. The present management structure (see, 1986 Organizational Chart) began evolving during the 60’s as James E. Jr. slowly took over the reins of the Company from his ailing father. James E., Jr., the older brother and current President, had learned the Company’s business through and made his mark in the sales and marketing arena. With this as his strength, and given the importance of such areas to the Company, James E., Jr. has maintained control of such areas through the years, even as and after he took over control of the Company. Thus, in effect, he has run the Company from the sales side. At the same time, Lawrence L., Sr. developed his strength in the production aspects of the Company. Interviews with James E., Jr. and Lawrence L., Sr. show that each maintains a deep respect for their late father. They have lived up to his expectation that they both enter the family business and continue it. Pursuant to his wishes, they have drawn identical salaries throughout the years. Both brothers’ remaining in the business has had its impact – on the business and on the brothers. From a personality standpoint, James E., Jr. and Lawrence L., Sr. are very different. In order to avoid day-to-day conflict, each has staked out and remained on his own turf. As described above, James E., Jr. has run the Company and sales and marketing while Lawrence L., Sr. has been responsible for all production aspects of the Company. While in some cases this may have worked, in this case the separation of powers may have been perpetuated to the detriment of the Company. The brothers do not communicate about those aspects of a manufacturing business that are crucial: the links between market demand for and production of items. Thus, market forecasts are made without the benefit of current customer information, and sales are made without knowledge of production levels and capabilities. Similarly, pricing is done at the sales side, on a competitive basis, without adequate communication between sales and production regarding costs. Because of the President’s predisposition toward and activity in sales and marketing, particularly recently with Journapak, there is no one person objectively and equally overseeing the entire business. Even the general manager’s role as it presently exists does not oversee the marketing and sales aspects of the Company. Further, other management problems exist today, perhaps in part because of the concentration of the present management in one Hooper family generation. No new management people have been brought into the business in the last ten years. Two of the four non-family management positions are held by part-time people, and all of management is over 50 years old. Present positions are very tightly staffed, generally with no back -up for the various job functions. Additionally, a further weakness of today’s Hooper Company may be traced to the schism in management between the Hooper siblings’ jobs . In previous generations, the Company prided itself on its treatment of its workers. For example, James E., Sr. made a point of visiting the plant twice a day. The workers looked forward to his visits. When a worker was out, James E., Sr. noticed his absence and would call his home to inquire about him. James E., Sr. was said to have spent 95% of his time on personnel aspects of the business. In contrast, this aspect of the business seems to have fallen through the cracks in recent years, as present management has focused itself narrowly on the economic aspects of the business. Other obstacles to the Company meeting its goals and objectives presently are the condition of the factory and the lack of automation and computerization of various functions. The production facilities and techniques, as well as accounting activities, are generally in need of modernization, in order to take advantage of cost-savings production techniques and equipment. Some resistance to change might be expected by the work force. The present work force, like management itself, is an older, entrenched group, more than half of whom have been at the Company over 12 years, and 21 of whom have been there more than 20 years. The average age is over 45 years old, with 23 people over 55, 12 people in their 60’s and one person in his 70’s. Finally, with regard to organizational effectiveness, the Hooper Company has not taken advantage of perhaps it greatest asset: its six generation name and reputation. The Company has competed in its markets primarily through its reputation of producing high quality, reliable products, and through its pricing policies. However, the Company does not particularly tap or play up its reputation with its suppliers, customers, and potential financing sources. Wm. E. Hooper & Sons’ products are known by a variety of names, often not including the Hooper name at all. Although this is due to the fact that the current Hooper lines were all acquisitions, it may be time to consider the consolidation of all products under the Hooper name. The fact that the management of the Wm. E. Hooper and Sons Co. has been kept within one family for six generations speaks well of its ability to handle the issue of succession. Although the leadership of the firm has not always been assumed by the oldest son of the departing president in each of the five successions, it has occurred in the two most recent cases. In both instances, it appears that the successors were groomed for their roles by family expectations. Both James E. and James E., Jr. entered the business after finishing college and serving their country in the Navy, and both took over the firm completely only after their fathers had died. The company is now facing the issue of succession again as its president. James E., Jr., passes the age of 66. His brother, Lawrence L., Sr., who has worked as Vice President in charge of production, has been recommended to the board as the immediate successor. Because Lawrence is 61 years old, however, the firm has determined that a long-range successor should be identified and brought on board within the next year. Unlike his father and grandfather, Henry has never been expected to join the family firm. He had little or no exposure to the company when he was growing up; i.e., he does not remember going with his father to the office on Saturday to play while his father worked, nor did he spend his summers working for the firm. His father did not talk much about the business at home, and what little he did say had to do with the inability of the company to be consistently profitable. As a result, Henry and his siblings were encouraged to find their own careers separate and apart from the family business. This may also have been due, in part, to the fact that many children growing up in the 1960’s and ’70’s were making non-traditional career choices and deferring marriage and family commitments until later in their lives. Because the children of James E., Jr. and Lawrence L. have responded to the situation in the family firm by establishing careers outside the firm, there appears to be little chance for sibling rivalries to develop in connection with the firm. This means that the firm is faced with the reverse of the typical succession scenario. Typically, the head of a family firm has to choose a successor from among several children who might appear to be equal candidates. The retiring CEO might disappoint a younger child by automatically grooming one child (the oldest son, for example) for the top job. In this case, there is only one available candidate from within the family (Henry), and the firm is in the position of trying to convince that candidate of the opportunities in the job. We have found no evidence that the company has yet considered, as it did in its 1975 strategic plan, hiring a non-family professional to take over in the long run. The history of the company suggests that this option has never been seriously considered. More recently, the company has been reluctant to hire someone from outside the family. Perhaps this reluctance is due to the fear that the person might not be as committed as a family member to remaining with the firm after receiving valuable training. The current competitive position of the firm in the marketplace also suggests that it may be difficult for management to recruit a non-family person for the top position. Thus, the responsibility for continuing the operation of the firm falls upon the members of the family who are in their 20’s and 30’s. A paper by Harry Levinson talks about the dynamics of firms that are managed by siblings. Power-sharing arrangements are generally difficult to work out, and the children of those siblings often become entangled in these power dynamics when they begin to work at the firm. The children may be forced to take sides in the family disputes that are being played out in the business, and the results are not always beneficial for the business. Another interesting aspect of family firm management is that no hard and fast rules concerning mandatory retirement age usually exist. This can keep the head of the firm from confronting the need to choose a successor. Once a successor is chosen, it can also inhibit the transfer of power to that person because the outgoing leader is not compelled to leave at a certain age. Often the person who has made running the firm the nexus of his life simply can think of no other activity in later years than to come into the office on a daily basis to watch over his “child” – the company. The very thing which the outgoing leader seeks to do – help with the growth of that child – may be inhibited by his actions. The current succession picture at the Hooper Company is complicated by the fact that the company is actually planning for two successions in a relatively short period of time. As Lawrence L., Sr. takes over the firm, he will be in his early ’60’s. Studies show that this is a time when a man usually strives to consolidate his power, not to give it away. In this case, Lawrence L., Sr. will be faced with giving away his power just after obtaining it for the first time. Studies also show that an heir apparent in his 20’s is much more likely to be satisfied with learning the business and working under his father than one in his 30’s. Recognition of these factors and openness of communication about them will allow a management team to overcome the difficulties inherent in them. 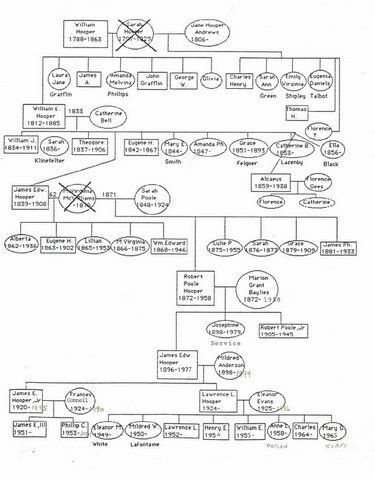 Henry E. & Lawrence L. Hooper, Sr.
A look at the family genogram indicates that there have been large numbers of offspring in several generations. Although the ownership of the firm could have been diluted among members of these generations, this did not occur. Early in the company’s history, one or two members of a generation were always able to retain concentrated ownership by buying out other members of that generation. In more recent times, R.P. Hooper was able to keep ownership from being diluted by establishing a family trust into which all of the voting shares of the company were placed. This trust ensured that ownership would remain with his son or daughter-in-law as long as either was alive. Along with preventing the company from being sold to pay estate taxes, it has kept ownership from being diluted. History leads us to believe that the Hooper Company will be able to continue its record of successfully managing transitions in management. The value of working for a company that is so steeped in family lore, and that has given the family financial support for so long, cannot be quantified or overestimated. Any problems that may arise in the transition of power from one generation to the next can be overcome by the will of the family to keep its name at the top of the company that it has run for so long. 1 Hooper oral family history. 2 “Wm. E. Hooper & Sons Co., Plant Story,” Textile Age, October, 1950, p. 18. 3 Hooper, Florence, “The Hoopers of Baltimore,” an unpublished manuscript, 1943. 4 Textile Age, op.cit. and “Wm. E. Hooper & Sons Enters 40th Year,” Baltimore Magazine, October, 1953, p. 20. 10 “Wm E. Hooper & Sons Co.,” The National Canvas Goods Manufacturers’ Review, September, 1952, p. 34. 12 William E. Hooper & Sons documents, author and date unknown. 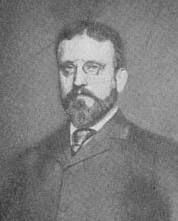 13 Lawrence L. Hooper located the dates of employment for Theodore among the Board minutes kept at the firm. 14 Notes taken from obituary of James Edward Hooper, The Baltimore Sun, July 6, 1908. 16 Notes on the history collected by Lawrence L. Hooper. 17 Inference made after reading Beirne, D. Randall, “Hampden-Woodberry: The Mill Village in an Urban Setting,” from The Maryland Historical Magazine,Vol. 77, No. 1, Spring, 1982. 18 Beirne, D. Randall, op.cit. p. 13. 19 Notes from Board minutes, June, 1908, as read by Lawrence. L. Hooper. 21 From Hooper Company documents, circa 1914, author unknown. 22 From Hooper Company documents entitled “Moral of Hooper Mill,” quoting John Dorsey , circa 1914. 23 Quotation by James E. Hooper, Jr., March 11, 1986. 24 Beirne, D. Randall, op.cit. 25 From a conversation with Mary Becker, an office worker and Hooper employee for 55 years. 26 Beirne, D. Randall, op.cit. 29 Textile Age, op.cit., p. 20. 30 This irony was pointed out by Lawrence L. Hooper. 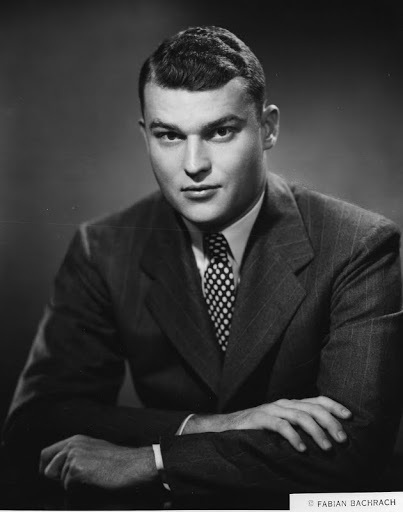 31 A partial list of some twentieth century family employees in the firm includes: Virgil Anderson, brother-in-law to James E. Hooper, (1944-1965); Robert P. Hooper, III (1948-1952); William Bay lies, brother-in-law to R.P. Hooper, (? 1920’s); William S. Service, Jr., nephew of James E. Hooper, (1949-1952); James P. Hooper, Jr. (? -1930’s); and Robert P. Hooper, Jr. (?1927-1935). 32 Figures cited by Lawrence L. Hooper. 33 James M. Donohue, Treasurer, referred to James E., Jr. and Lawrence L. Hooper as “caretakers” of the six generation family firm. 34 There are other members of the seventh generation who may be interested in joining the firm in the future. They include James E. Hooper III, who is in the field of commercial real estate in Boston, Lawrence L. Hooper, Jr., who is an attorney in Baltimore, and Anne L. Hooper, who is a high school admissions and alumnae director in Baltimore. 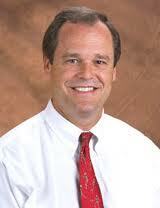 Henry E. Hooper joined the family firm in the summer of 1986. He was hired as VP of marketing and sales. He worked closely with James E. Hooper, Jr. in those functions, establishing good relationships with our direct sales force and our manufacturer’s reps. In 1987 the sales of the Journapak Division started to slide dramatically. Unsure if the downturn was episodic or permanent, the sales team worked to support the declining division profitability with higher sales in the ATP Division. After 6 months of Journapak sales stagnation management knew that the long range plans were in jeopardy. With that new reality in mind, the Board of Directors urged James E. to investigate likely buyers of the operating divisions. He worked with Henry, systematically creating and investigating the list of potential buyers. One possible buyer was a company in the sanitary supply market, with whom ATP shared many manufacturer’s reps and sales. They approached the company, Tu-Way Sales, which was a dry mop manufacturer from Ohio. Management of Tu-Way Sales came to meet us in July of 1987 and a deal, or “marriage”s, was inked two months later. At the annual trade show in Las Vegas, James E. hired a bride and groom to walk between the two booths, which was a hit with the crowd. Ironically the deal to sell ATP to Tu-Way closed on the day that the NYSE tumbled over 500 points, the largest decline in history. The market collapse was short lived, and it did not create too much of a disturbance to flatten the deal. Later that year we next sold the Journapak and braiding divisions to a longtime neighbor and former employee, Kenny Mumaw. Kenny was particularly interested in buying the real estate, which gave him some economies of scale in the neighborhood. He was also interested in the knitting and weaving businesses as a investment for his son. We knew the real estate market was soft at the time, but we also knew that it was in great need of repair and Mumaw would not be interested forever; so we negotiated the sale the real estate to the Mumaw’s in the summer of 1988. The combined proceeds from these sales agreements yielded enough money to give James E. and Lawrence L. Hooper retirement plans. The Company had not funded a pension or 401K plan for senior executives, thus the Board did the right thing paying for their many years of service. At the advice of counsel, the Board also set aside a mid-six figure sum of money in escrow for the potential liability for sunken tanks, which the company had buried on the side of a hill by one of the mills. The tanks had been filled with the chemical solutions that were applied to cotton duck to create Fire Chief finished products. Later the tanks were filled with oil to soak the Journapak lubricator pads. There was evidence that the tanks may have leaked some oil and chemicals into the ground water system. The lawyers and government were the only ones who made out on that deal, as they siphoned off all of the cash before the work was done. Norad, a company which had bought the property that contained the sunken tanks had a threatened a law suit if the escrow account had not been set aside. The Hooper Company had been the ones who had built the warehouses and the finishing plant as they existed on Parkdale Avenue. As financially painful as it was, the Board and senior management did the right thing by helping pay for the abatement of the problem. James E. died of a heart attack on Christmas Eve, 1995, just before he was to be married to the widow of a Princeton classmate. Lawrence L., Sr. lives in Florida with his wife, Dicky. He has been happily retired for the past 25 years. Will the real William E. Hooper please stand up?